Coming together from various avenues, the five members of Tooth & Nail Records’ newest signing, Nine Lashes, have one common thread: to stand up for what they believe and pour their hearts into everything they do. Discovered by Trevor McNevan of Thousand Foot Krutch, Nine Lashes pours forth a modern rock sound that is as melodic as it is heavy. Their debut release, World We View, features guest vocals from Demon Hunter’s Ryan Clark (“Our Darkest Day”) and is sure to please modern rock fans. Nine Lashes’ name is derived from the whip uses to beat Jesus – cat of nine tails. “We never want to forget what He did for us, and we hope that our band name beckons people to ask this very question – it is what we are all about,” explains Jonathan Jefferson. In 2009, independent hard rock band Nine Lashes released a solid 12-track project titled Escape. For two years after that, the band went quiet while fans breathlessly waited to see if they would catch the attention they deserved. In early 2011, Tooth & Nail finally announced them as newly signed to their roster. Things are seriously picking up for Nine Lashes now as they kick off 2012 opening for genre heavyweights RED and Thousand Foot Krutch, following the release of their label debut World We View. This ambitious album already promises to be one of the most solid rock debuts of the year. “The Intervention” follows with a blistering battle cry for endurance. “Get Back” builds on a very solid bass line while addressing someone who has turned their back on their beliefs. “Adrenaline” brings the energy levels back up. This is arena rock at its finest, and Nine Lashes wisely draws on the vocal talents of Thousand Foot Krutch frontman Trevor McNevan. This track seems made for wide arenas with fans screaming the words back. Another collaboration brings a distinct flavor to the track “Our Darkest Day,” featuring backing vocals by Ryan Clark of Demon Hunter. The sliding, distorted riffs of “Our Darkest Day” back lyrics about holding on in hard places. Ryan Clark’s vocals are a tasteful addition, bringing a tension to the heavy track. A few of the songs take a slightly lighter approach musically, such as “Believe Your Eyes” (the track from which the album title is taken) and “Memo.” These tracks have a more widely accessible sound while maintaining rock solid songwriting grounded in truth. The musical diversity carries into “Write it Down,” which has a bright electronic thread shimmering beneath layers of rich, driving guitar. The album takes a darker turn again with the piercing, edgy track “The Void.” Soaring, almost choral voices back Jeremy Dunn’s constantly building momentum as the song searches for hope. The vivid imagery in the lyrics has by this point been established as a strong point for the band: “I’m finding the road, and tonight the sky is burning bright for me.” The album wraps up with the primarily acoustic track “My Friend,” featuring an unusually gritty acoustic guitar tone and conversational lyrics. In a world shifting in the direction of pop and dance, Nine Lashes has crafted an incredibly strong, unapologetic rock album that brings back a raw power that has often been lacking in the genre’s recent years. World We View is aggressive, both in its massive guitar riffs and its solid stand for truth in a crumbling world. This album is an achievement that promises great things from the future for Nine Lashes, and could easily hold its own amidst rock heavy weights in both Christian and mainstream rock formats. Alabama based Nine Lashes unleashes their Tooth & Nail, nationally distributed debut World We View this week. And while the sonic palette of southern rockers Needtobreathe, Hyper Static Union and Third Day may immediately spring to mind, Nine Lashes defies, for the most part, geographical expectations, creating a hard-hitting unabashedly pure rock release the likes of Red, Decyfer Down, or Skillet. Catchy melodies, brawny guitar riffs and an obvious mastery of their musical craft contributes to the band’s familiar, yet particular sound. The band's music & lyrics evince an astuteness that is without a doubt a benefit of the array of influences and experiences each member suggests to the overall amalgamation of the band’s exceptional sound. Other artists that come to mind while listening to Nine Lashes include: Imagine This, Sent By Ravens, TFK, This Beautiful Republic, and even the milder side of Demon Hunter. Great Album and well recorded! Love the songs "Get Back" because it sounds cool and "Afterglow" because its a touching song. "Our Darkest Day" its a engery song along with "Write it Down". "My Friend" is a softer song and sometimes i think we all need to slow down sometimes. They started out as an Indie band and in a "God Only Can" kind of way they signed on with Tooth & Nail Records (Hawk Nelson, Icon for Hire, Sent by Ravens, Family Force 5, Anberlin, etc.) and have now released their sophomore album "World We View". This proved to be a trying experience for the guys of Nine Lashes. While at dinner one night at the house of their two guitar players (Adam and Jonathan Jefferson) they witnessed the heart attack that killed their father. "Afterglow" came from the experience and so did the entire tenor of the album. A commentary on the pain life can sometimes bring and the way it can impact the world we view...(See what I did there)...this album has great potential. Let's see if it measures up! I have not heard a lot of this band, but having just had my morning cup 'o joe and plugged this in...I think I'm in love. Jeremy Dunn's vocals are indescribable but outstanding and PERFECT for this style of music. This song is as it says, an anthem NOT for...but from/of the lonely. If we are being cast out because we follow Christ...we are winning more than we could being part of the group. I love a hard metal song that starts off with a charming piano melody. It's a sweet contradiction. "Wait...this intervention is mine..." This song is about an intervention for ourselves against letting preconceptions silence us. Our true selves. This song is a cry from Christ we hear less the further we stray from His path. "Get back to where you once believed". Awesome rock beat with the perfect examples of lead singer Dunn's vibrato on those higher notes he hits with crystal clarity. This is probably going to end up being one of my favorite songs on the album. This song is the one that is most specifically about the bands personal tragedy this season. The lyrics seem to fully epitomize the broken-hearted feelings people have after losing a loved one. However, they managed to perfectly capture the darkness and illuminate it with the hope of Christ in the end of the song. "I'm everything BUT lost cause I'm not alone". This is the "party" song. It's about knowing who you are and finding joy in that. Celebrating being happy with who and what you are. I love this song! The megaphone effect on the verses and then rapid fire lyrics on the chorus. And I love Dunn's voice on those high notes he hits on the chorus also! This song contains the title in the lyrics so...title track? Anyway, the opening guitar riff in this song is melodic and outstanding. This song paints a beautiful and calming picture of the hope we have for the future world we will view. More contradictions from this band...the hard rock sound with these beautifully hopeful lyrics! It fits perfectly anyway! "The rain. The subtle shades of gray, have all but found their way from here. The sounds...of color streaming down, is inches from the heart I hear. If I could just let it in, it's just what I know that I've lost. Can anybody see? You won't believe your eyes! A stranger to me...you won't believe your eyes." Based on their personal experience and the book of Job featuring Ryan Clark, this song addresses our need for Christ even in our darkest hours. Sometimes we are so broken and seemingly hopeless that the only thing to help us...is to scream His name. Sometimes it's the only thing that helps. This is THE hardest song on the album so...carefully consider before playing this one for your grandma! I'm currently in a religion course here at Appalachian and EVERYTHING we've been talking about recently are summed up in this song. Answer the questions, approach the tough subjects, be open to everything and everyone just as Christ was. This song is the musical accompaniment for the montage of all who seek a Christ-like church/religion. "If only the deaf would hear." Lighter on the verses building up through guitar riffs to an intense and epic refrain. This song was inspired by the book of Ecclesiastes. A song for a soul determined to find the right path. The guitar on this song is amazing! I was literally just breathless for a minute. Acoustic gold! This is the song to play for the person who is your rock through your darkest night. Anyone who has ever gone through unbearable pain has had someone like this in their lives. And for those of you who know someone who has recently lost...listen, take notes, and understand what it is you're supposed to do for them! :) This is my favorite song I think...the acoustic guitars...and then the orchestra. I LOVE a could string section...and this IS a good strings section!!! Okay...so if you like Skillet, Thousand Foot Krutch, Kutless, Pillar, and bands like that...you will LOVE Nine Lashes. I recommend this album for anyone who is going through heart ache and trial. What I think I love most about this album, is the little booklet in the cover. The front of the booklet is pictured above. A dark, stone cold wall with the Nine Lashes symbol on it. However, when you take the booklet out and turn it over...after you have finished looking through it (reading the lyrics, checking the scripture references, hearing their stories)...you see that after all this, after Christ has come in and taken those nine lashes you can finally see the "World We View". If you are into the heavier music but looking for a lighter message...this is the band for you. Looking forward to great things from this band! Keep it up guys! Nine Lashes' World We View is one of the most unique sounding rock albums I've heard in a long time. The very first track, "Anthem of the Lonely," takes a stand for Christ... even if that means to stand alone. Something this band makes no bones about. Their heart is to share God's love. No question. This world needs a little more of that. My daughters and I really like "Get Back." When this song comes on, we sing along, and sometimes I'll hear them just start singing it on their own. And they often ask me to play it again. "Adrenaline" features guest vocals from Thousand Foot Krutch's Trevor McNevan. It's a fast, almost chaotic anthem. And I love it. "Our Darkest Day" features guest vocals from Demon Hunter's Ryan Clark. Now normally I don't care much for screamed vocals, but there's enough of the smooth Nine Lashes melodies that I totally miss the screamed bridge or background vocals. It's not enough scream to make me want to skip the track. It's still a good song and I guess it's appropriate that Clark screams "through the darkest days I will scream your name aloud." I enjoy listening from front to back, top to bottom. World We View will stay at the top of my favorite rock albums list for a long time. Nine Lashes came back with a boom! They're latest and definetely greatest album yet truly expresses their hard metal rapcore style. They show they can have a hard upbeat but still heart-felt song with Anthem of the Lonely. To even top that they have a song that reminded me a lot of Three Days Grace but better with Get Back. But their true meaning was expressed in Afterglow it speaks of how no matter how many times you're left in the dark He will always take you in. This album has far surpassed their previous Escape album. After releasing a 12-song 2009 project, Christian Hard Rock band Nine Lashes were discovered by Thousand Foot Krtuch’s Trevor McNevan and were signed to TFK’s former label Tooth and Nail Records. Many people really liked the 2009 album and were waiting for their major label debut. Now, in 2012, Nine Lashes release their major label debut World We View. Album opener and first single “Anthem of the Lonely” is a hard-rocking track that talks about how us Christians will always be outsiders because we don’t act like the rest of the world. “The Intervention” is one of the best off the album, and the lead singer makes a memorable hook. “Get Back” encourages someone falling away from God to get back to when they once believed. “Afterglow” is a slow ballad that takes about the aftereffects of bad parenting on children. “Adrenaline (featuring Trevor McNevan)” is a song that doesn’t seem to have a clear Christian message, but when played live it will definitely get the crowd going. “Believe Your Eyes” is another slow song that I wasn’t super impressed with, but not a bad song by any means. “Our Darkest Day” is one of the heaviest tracks on the album and, while I don’t mind screaming, it didn’t seem to fit in the song. “Memo” was a rock song, but a little bit slower. “Write It Down” was a rocking track that I enjoyed a lot as well as the following the track “The Void.” “My Friend” closes the album at a slower pace and an encouraging that they can be open to each other. It’s a very nice way to close this album. Feel free to comment on this review so I can make them the best they can be! I recently discovered Nine Lashes, by looking for songs that Trevor MacNevan has featured in. I listened to Adrenaline and then searched for more of their songs on YouTube. I quickly found there music to be not only full of rock and great sounds, but of a great message! Their heart for God is the other thing that made me love them: their message of remembering all that Jesus has done for us is one of God's love - you can't beat that! Every single song on their album I love! It's hard to always find an album that I love through and through! 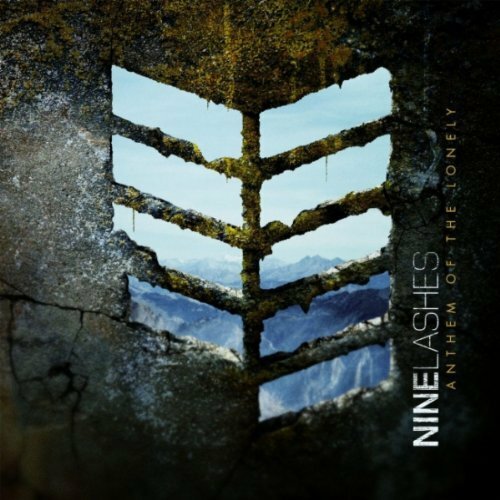 I HIGHLY Recommend Nine Lashes! I really like this new band! Great sound and style! Definately a band I will be listening to. Getting this CD as soon as it is released! They are from the same record label as some of my other favorite bands(Tooth and Nail Records). They always find the good bands! This is a great album, the only thing i can complain about is the many switches of styles, but thatis to be expected for a band that is just starting out. the music is a great fit to the vocals, and the words can get you thinking.